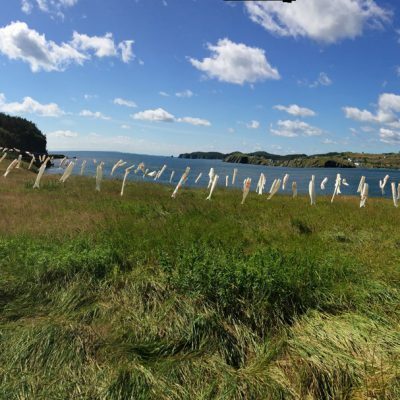 Doran Meadow, Port Rexton, Newfoundland. 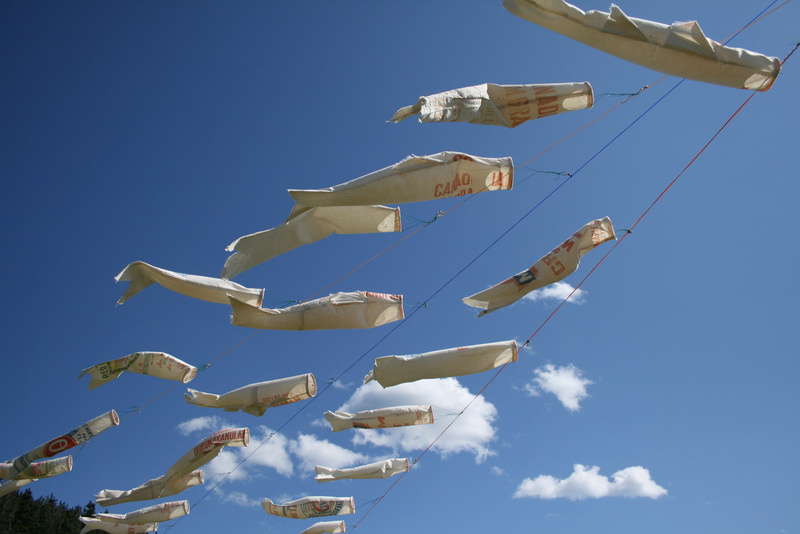 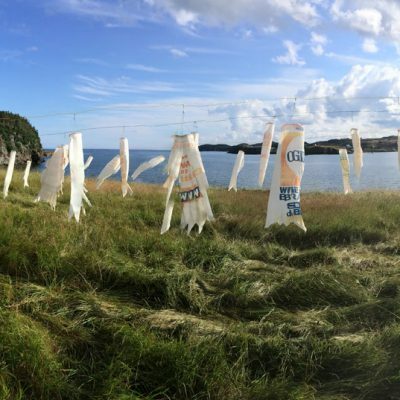 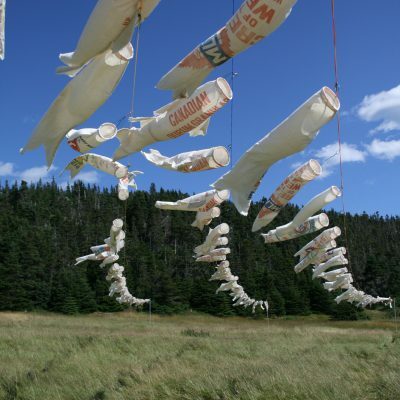 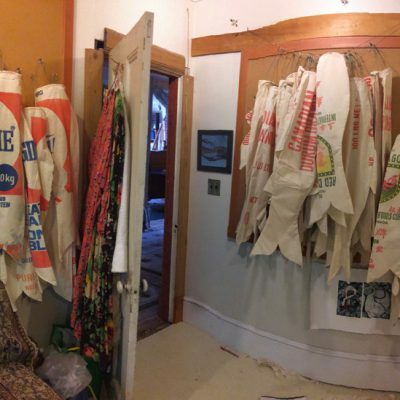 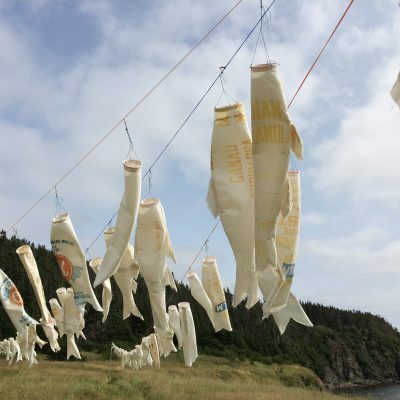 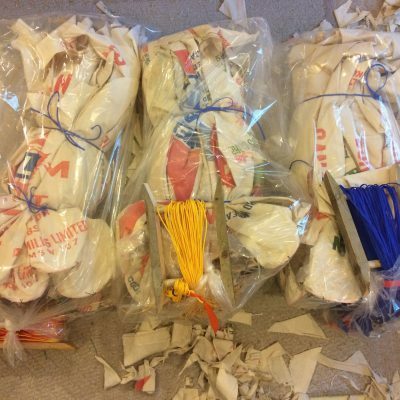 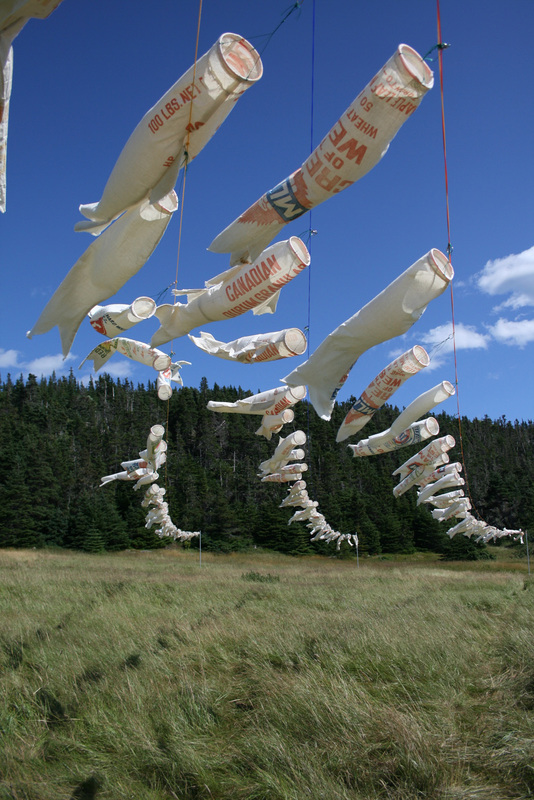 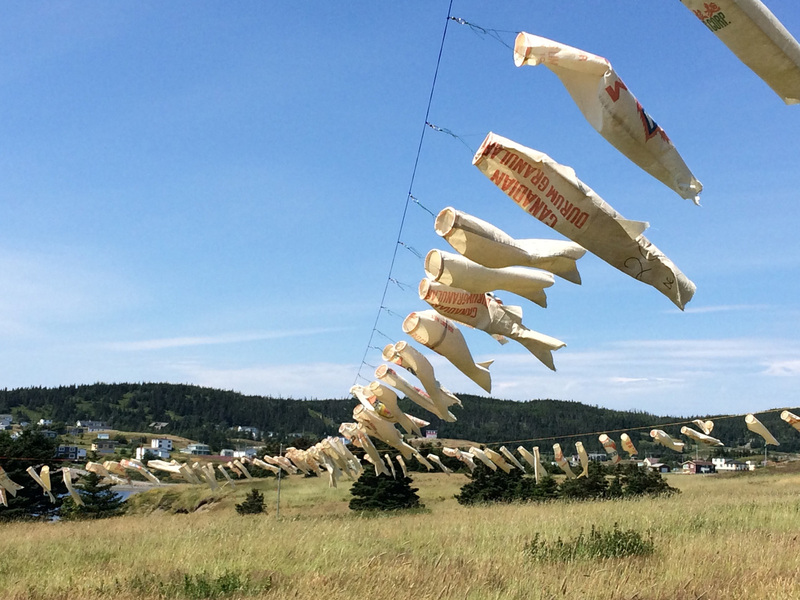 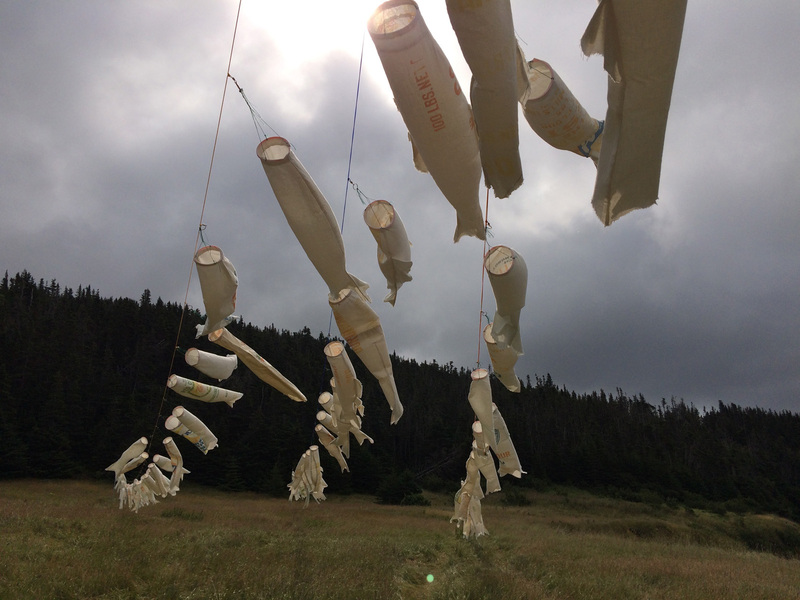 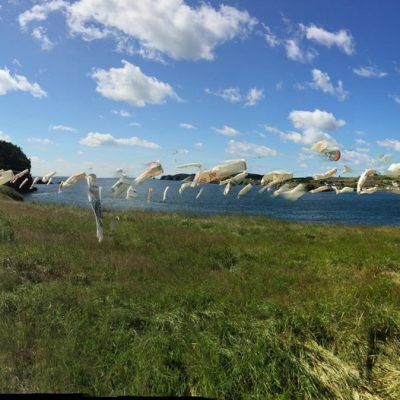 The second iteration of Re-Seeding the Dream was commissioned by the inaugural Bonavista Biennale in 2017. 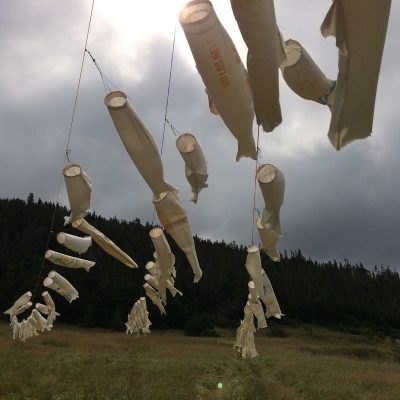 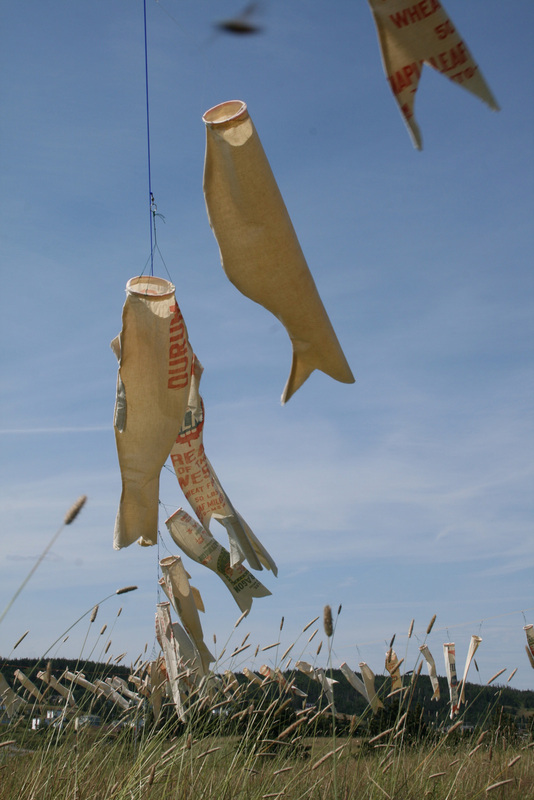 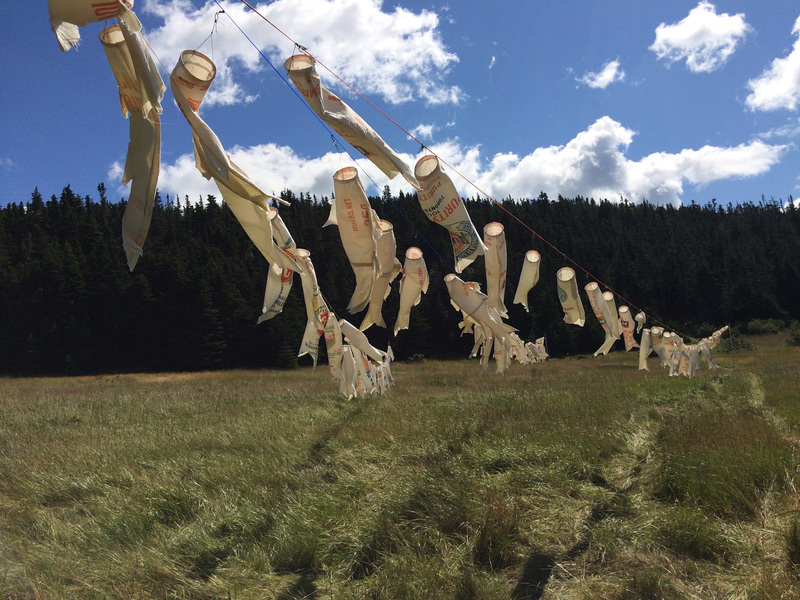 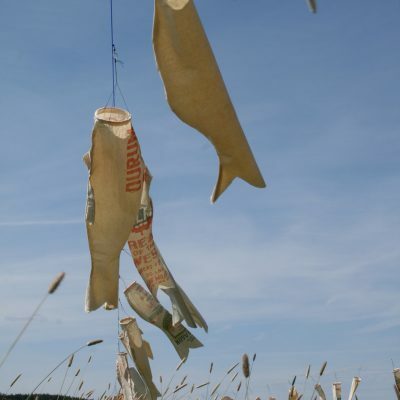 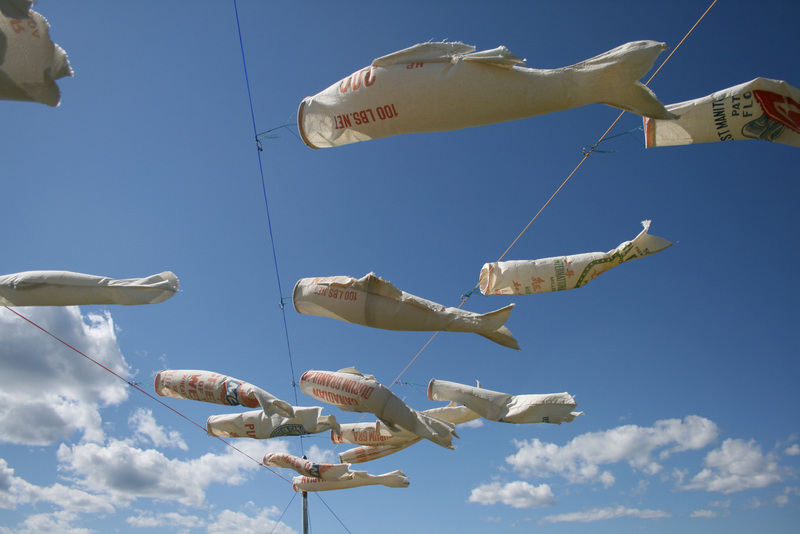 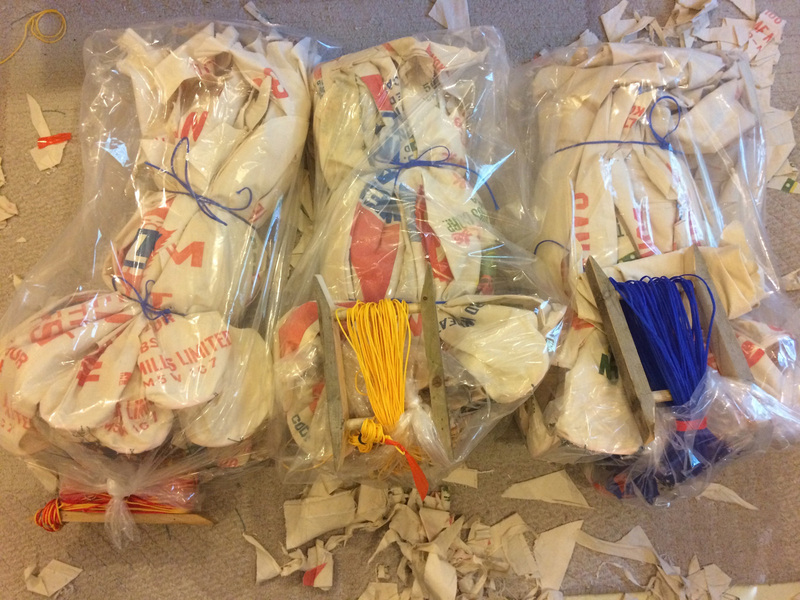 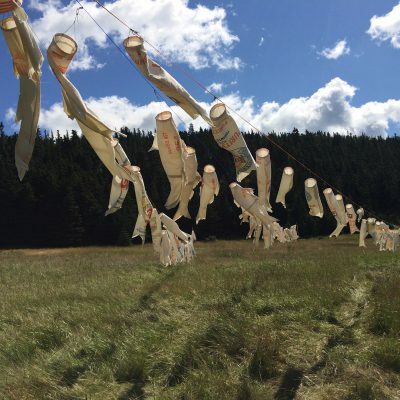 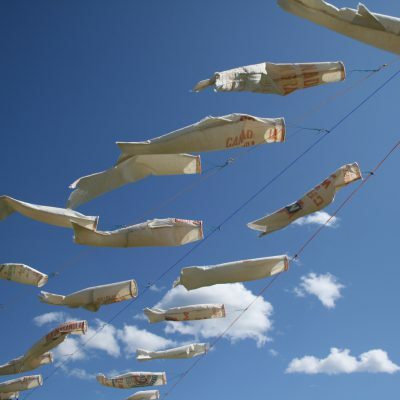 It “finishes” the project begun by the first Re-Seeding — a site-specific installation examining scarcity and abundance, fishing and farming that began in 1997 south of Lethbridge, Alberta. 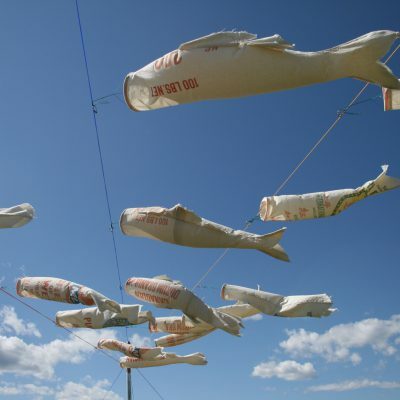 Twenty years later, and thousands of miles from the wheat field where the first fish-shaped windsocks flew, Hall marked again those parallels she had seen between fishing and farming, their weather dependencies, their precarity, and the continuing role of women’s labour in both. 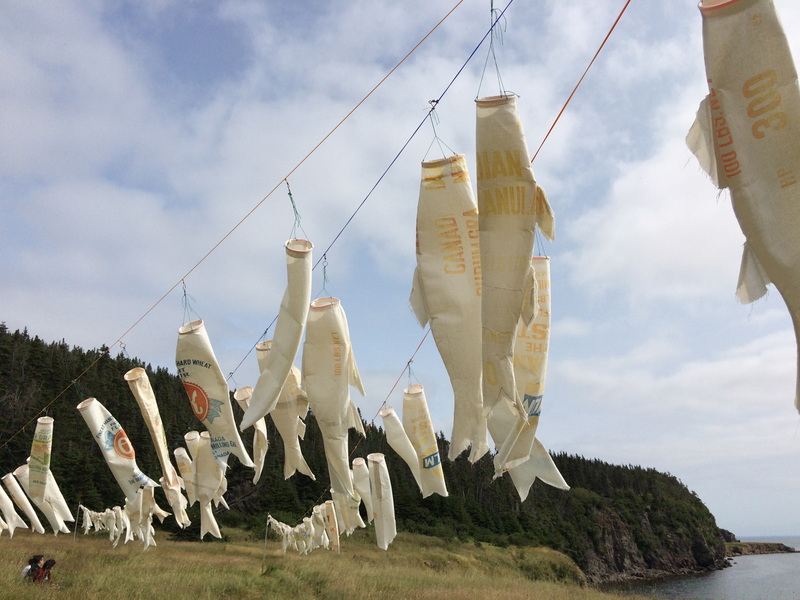 Twenty-five years after the Cod Moratorium was imposed in the Newfoundland fishery, her dream of the return of the wild cod was, in 2017, still only a dream.